Whew! I am on a Chocolate and Peanut Butter kick these days! 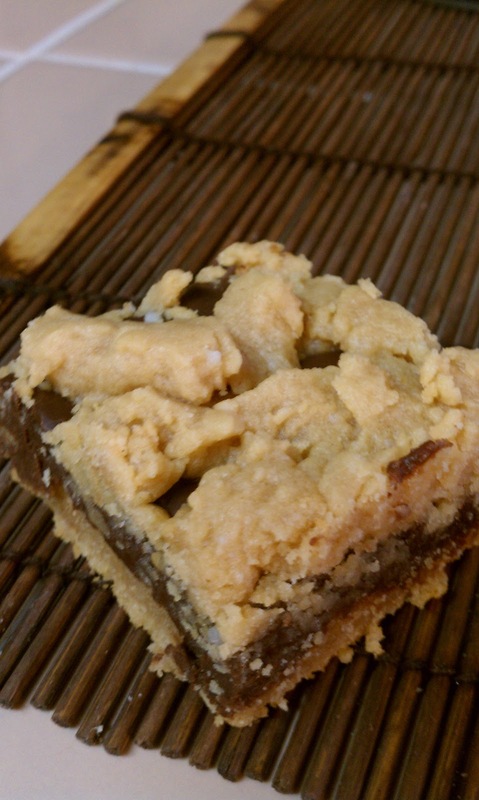 If you want to make a REALLY great treat for your next social event, BRING THESE BARS! Not only are they AMAZING to eat (people go NUTS over them), but they are super easy and inexpensive to make! 2) Combine cake mix, melted butter, peanut butter, and eggs in a large bowl using a mixer or spoon a. Press this into a 9X13 pan (sprayed with non-stick spray) reserving 1 and 1/2 cup of the mixture to crumble on top. 3) In a small pot, melt chocolate chips, sweetened condensed milk, and butter. Remove from heat and stir in the vanilla. Tip: Make the day before you want to serve them so the fudge center really sets! Or you can refrigerate them for a couple of hours! They taste good either way, but when the fudge was thick and completely set it made a WORLD of difference! 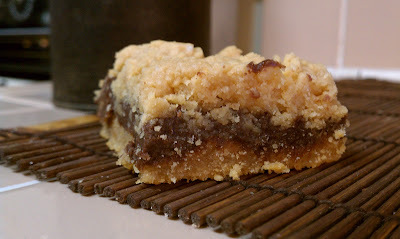 A chocolate version of these bars!